Stop feeding your dog food without knowing how it could affect them. 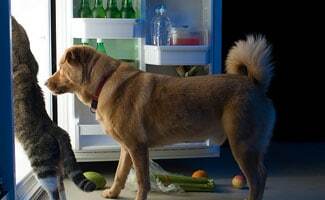 Know which foods are lethal to your dog beforehand, so you can keep them safe. Foods that are perfectly suitable for human consumption, as well as other animals, may be toxic and even poisonous to your dog, posing a serious threat to their health and well-being. Why? Because all animals have very different rates of metabolism. Metabolism is basically the process of breaking down food and turning it into energy. Please note that while we’re attempting to add every food we can find that is potentially unsafe for dogs, there are certain foods that we may miss, so don’t consider a food safe to feed to our dog just because it’s not on this list of foods bad for dogs. Do your research if you are uncertain and let us know by adding a comment below with your new information, so we can keep this list of food bad for dogs updated. If you are worried about something your pet consumed, please call your vet promptly. Here’s an alphabetized list of foods that are unsafe and unfit for canine consumption, many of which are toxic to dogs. 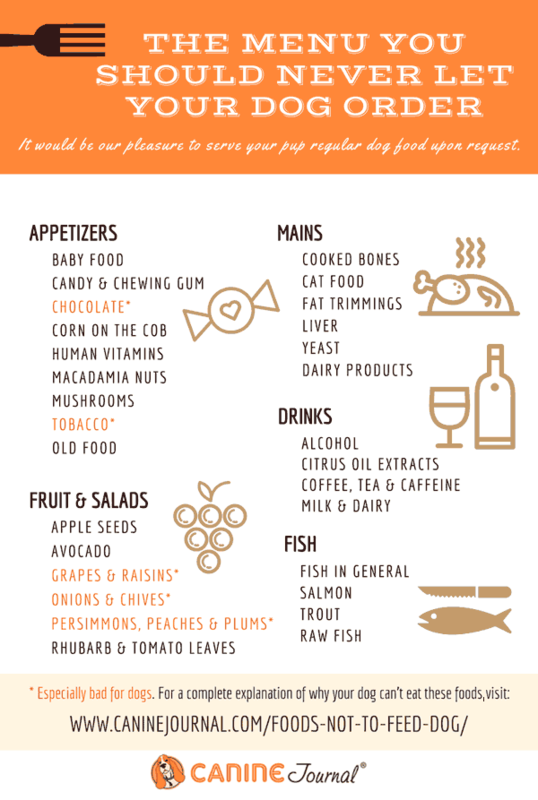 Be sure to look below this list for a helpful and shareable infographic to print out and keep on your fridge so you know what things dogs can’t eat. Chocolate contains theobromine and caffeine, which speed the heart rate and stimulate the nervous system. Depending on the type of chocolate, amount your dog ingested and your dog’s weight will determine how sick (or not sick) your dog may become. Since this is a common item in houses and dogs love the smell and taste of it, PetMD created a “dog chocolate toxicity meter” to help you know how serious your dog’s chocolate ingestion may be. It isn’t recommended to give your dog one of your vitamins or supplements. Human vitamins often contain 100% of the recommended daily amount of various minerals. This could cause an overdose of a mineral for your dog. Depending how much your dog was exposed to can affect the level of poison. There isn’t much information out about dogs and marijuana but from what we can find, these are the common symptoms: slow response times, dribbling urine, heart rate change, neurological stimulation, hyperactivity, coma and even death.4 Read more about Dogs and Marijuana. Bell Peppers are okay to feed dogs. Dogs are carnivores and prefer meat to vegetables, but there are some benefits to veggies. For example, green peppers are a low-calorie snack that is packed with vitamin C and beta-carotene. Be sure to chop peppers into small pieces because the outer skin can be tough and difficult to chew. Pureeing or steaming the peppers makes them easier to consume and digest. As with most human food, don’t overdo it because too much could lead to sickness. It might go without saying, but never give your dog spicy varieties such as jalapeños or hot peppers! Here’s a “menu” of things your dog should never eat. While these don’t fall in a particular category above, you’ll want to avoid them as well. 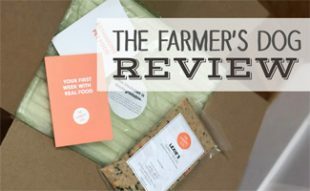 You don’t like old and moldy food, so what makes you think your dog will? The bacteria in spoiled food contains all sorts of toxins that can be damaging to your dog’s health. 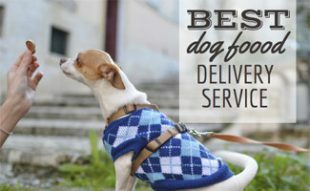 Feed them the freshest and best, dog-approved food only! If you feed your dog leftovers regularly, they won’t get a proper diet. If you do give them table scraps, make sure to take out any bones and trim down the fat. Chips can contain garlic and onion powder, cookies may contain raisins, chocolate or macadamia nuts, etc. 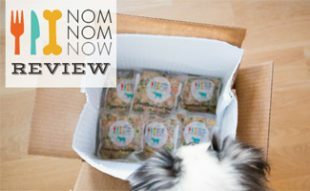 Bottom line — there’s a reason there’s food and treats made especially for dogs. Choosing to raise a dog is a big responsibility. Just as with a child, you’ve welcomed another living being into your household and family. We probably don’t have to tell you to take care of your dog, but what people often don’t realize is that as similar as the two can be, they also have very different needs when it comes to food. Ask your veterinarian what kind of food might be best for your particular dog breed as well as age and any special needs. That way you know what dogs can’t eat and you’re less likely to have any issues. While there are certainly some human foods that are safe to feed your dog there are many which are unsafe and potentially poisonous when ingested by your dog. As a general rule of thumb, it is far better to be safe than sorry, so avoid feeding your dog any human food unless recommended by your vet. Dogs that are not given human food or table scraps are generally better behaved than dogs who do receive people food. These dogs do not beg because they know they won’t receive any scraps. They also tend to drool less and bother visitors to your home less because they understand that human food is for humans and not for them. With all this being said, below is a list of human foods that are safe for dogs to eat in moderation. If your dog is acting strangely, or experiencing even minor symptoms including weakness, lack of coordination, vomiting, diarrhea, etc. and you think they may have consumed something they shouldn’t have, seek a veterinarian’s attention immediately. If you wait too long, your dog might not make it. What If You Cannot Reach Your Veterinarian? In an emergency when your veterinarian cannot be reached you should contact your local animal emergency clinic or call the animal poison hotline at 888-232-8870. You can also try the ASPCA Animal Poison Control Center at 888-426-4435. Depending on the nature of the item ingested the animal poison hotline or your veterinarian may induce vomiting to regurgitate the item that has been ingested. If the item is something that is likely to cause further damage to your dog on the way back up, vomiting will not be induced and other methods of helping your dog will be discussed such as having your dog ingest an item which will bind to the offending food and neutralize it or surgery to remove the item that is causing your dog’s problems. If your dog eats something and gets sick, the vet bill can be tough for pet parents to stomach. Take the proactive step and consider pet insurance. That way if an accidental treat becomes a medical emergency, your dog (and your wallet) will be better off. Check out this video we created to better explain what pet insurance is and why it’s worth it. See something we missed? 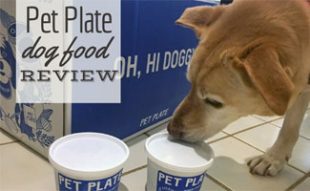 Does your pup have a favorite food you’re unsure is safe? Disclaimer: Information published on this website is intended for reference use only. The only clear option for ensuring your pet’s health is to feed commercial grade dog foods and treats only. Feeding human foods of any sort carries some degree of risk and is not under the control of this website. What about CBD & Terpene Rich Hemp Oil, medium chain triglyceride oil from coconut oil for dogs? Read that we should not give coconut or the oil to dogs, but reading other sites it is not mentioned. CBD oil is safe for some dogs, but always check with your vet before giving. As for coconut oil perhaps this link will help you. So, my awful brother was cooking some chicken. And, instead of throwing the cut off raw chicken fat parts- he throws it on the ground and my Pembroke Welsh Corgi named Curtis took it and ate it. After Curtis swallowed it, he started to make a weird “glump” kinda noise. Only did that sound like 2 or 3 times, I think. Then, after like 3 seconds I looked at his face and he looked insane sorta. (In my opinion) After a my brother put Curtis back to his spot, he looked normal again. Now my brother knows what NOT to give to dogs. Literally scared me when my brother gave it, cause I thought my poor puppy was gonna die since it was raw! Thanks for this article Canine Journal! Our dog suddenly got back leg weakness not able to walk for last 9 days, what had happen to him. Have you taken him to the vet? Shay, I have been an owner and breeder of pitbulls, having up to 14 at a time. Crying and barking when alone is a very common issue and not just with the puppies. You have to treat your dog the same way you would a child. Too much barking is bad behavior. Why reward the dog with a treat or by picking it up? Just like with a baby, you can’t run and pick it up every time it cries. I know at times its very difficult to listen to the continuing cries and barks but I promise it will stop. But only if you don’t give in. We used to feed our hunting dogs Hershey Bar Bites when they where tired. They never got obvious sickness. THOUGHTS?? Not something I would do. There’s no nutritional value in Hershey Bar Bites for a dog. Ingesting too much could harm the dogs. Thankfully, your dogs have been okay. Before my male german shepherd named Sparky died, my family used to give him chocolate ice cream. It didn’t ever harm him. Plus, the reason(s) he died is because he had heartworms. (Heartworms are worms that roam inside and around a dogs heart, it comes from a mosquito bite.) And my dad never took him to a vet. He was adorable, I was sad to see him get buried outside of my parent’s front lawn. Your dog should be fine. My dog has often accidentally eaten chocolate and she’s been fine and she’s going on 16 this year. i heard the squash or pumpkin were toxic for dog too. you can tell me if it is true? Through our research, squash and pumpkin are both safe for dogs. But if you are concerned, we suggest not giving it or check with your vet ahead of time. Each dog is different and can respond to foods in various ways. Grapefruit! Highly poisenous. My Bull Terrier Pup grabbed a piece that fell on the floor and was severely ill. She ended up at the Vet. Highly toxic to dogs. Google it. Very surprised that it is not included here as it has a far worse reaction and deaths in dogs than grapes. Dogs are omnivores. Even wolves eat berries, grains, etc. in the wild. I’m researching foods suitable for dogs as I am interested in making her food myself. We are a vegan household. What foods would you recommend for my dog that are high in protein and can supplement the nutrients from meat? If you make your dog vegan, you are slowly killing them, they are literally made to eat meat, no matter how much you say its “better for them”. Dogs need meat just because you are a vegetarian doesn’t mean you’re dog can be if you want to cook food for your dog then buy a separate pan or pot or whatever you cooking with but your dog needs meat. Pork seems to be a hot topic as to whether dogs can or should not eat it. Perhaps this article could help explain further. I regularly snack on carrots with Ranch dressing. Afterwards my dog loves to lick the leftover dressing off my plate. Is there any concern with her ingesting the dressing? It can depend on the size of the dog. If you’re questioning it, call your vet. Reading this list, I see the infographic shows peaches is unsafe for dogs, but peaches is listed in the safe fruits as well. Is this a typo, or is it simply related to the paragraph in the unsafe list refering to the peach pits being unsafe…that is, can I presume that fresh peeled peach slices are safe for a dog to eat, while whole peaches wouldn’t be? It is just the peach pit that is dangerous to dogs. The actual fruit is safe for them to eat. Portioned properly, raw fish and meat is literally the best diet for dogs if you can afford it. It’s what dogs ate in the wild so naturally it’s what would be best for them. Why didn’t you mention any of this? I don’t think you know enough about dogs to be writing these kinds of articles. Sorry Kyle, we disagree with feeding dogs raw fish and raw meat due to bacteria and parasites that can be found in them. We are not alone in this, as we have sourced Pets WebMD as well. Wild dogs from hundreds/thousands of years ago are very different from the domesticated dogs we have in our homes today. Owls are dying from eating mice that have eaten poison put out by humans … so the supply chain is contaminated … so all those recalls on lettuce are just the tip of the ice berg that can be bad for your loved pet … people fair better because we cook our food … your furry friend was never supposed to face those bacteria and poisons in the modern food supply chain … so be wary!! You need to do more research from other sources. Dogs are primarily a carnivore, meat/bone/organs need to be the primary part of their diet. All my dogs for the past 15 years have eaten a raw diet and have lived very long healthy lives. What exactly do you think a domesticated dog ate a hundred year or more ago? Processed dry kibble? Do not compare people and dogs, we do not eat the same foods or get sick from the same bacteria. The same way we are poisoning ourselves with this processed garbage we eat we are putting into our pets. Don’t fall for this marketing gimmick. I do not agree with this at all – read up on Dr. Karen Becker. She will tell you to use essential oils as well – lavender works great to calm. PLEASE – do not feed the crap in the grocery store or discount stores – MADE IN THE USA – nothing off shore. Read the labels. Many people are poisoning their dogs daily. Any comments on cooked lentils and whole grain rice and oatmeal? Those are all good for dogs in moderation. Seriously, fish in general? Salmon is one of the main flavours for dog foods, and you see it all the time in the quality grade foods like Acanac, etc.. If you read the section for fish it is talking about raw fish due to a parasite. It states that cooked fish is fine because cooking kills the parasite. Dose anyone know if a dog is constipated could it be because their annal gland needs released? It may not cause constipation but it can make it more difficult for them to poop which if they can’t poop they can become constipated, it is kinda confusing but the answer is yes and no. my sister left her dog with me and he is really hungry. my dad gave him cooked hotdog and he ateabout 6-7 pieces. i looked at the ingredients and it involved garlic powder and salt. im having quite an anxiety attack because im worried he will intoxicated. i just want to know if he will be in any situation? I just recently found out that my dog Molly had gotten out of the house and eaten someone’s cat! That was about 9 months ago, she’s acting very lethargic and refuses to eat anything other than cooked meat. Could the cat meat be poisonous and she’s getting the effects now? 9 months is a very long delay for symptoms to just start showing up now but a discussion with your vet would be the most helpful next step for you and your dog. A lot of recipes mention chicken liver or salmon for dogs is this bad to feed them ? Cooked fish is perfectly ok for dogs and chicken liver is ok in small quantities. Do not feed your dog raw fish for reasons explained in our article. Chicken liver should only be fed in small amounts due to the high levels of vitamin A. When these levels are extremely high it can result in a condition called hypervitaminosis which can be life-threatening. Salmon is feed to dogs in Alaska. In fact, one type the locals call dog salmon. In Alaska, we need more of certain vitamins in our diet so this might just be a northern necessity as they also have salmon in the northern part of the rest of the world. There is a parasite in raw salmon that will kill your dog if he eats that meat raw. Salmon needs to be cooked before you feed it to your dog. My dog is allergic to Beef, Pork, Lamb, Chicken and Vension… he eats a diet of fish. NewFoundland dogs are fish dogs – highly recommended to raise them on fish… Fish is not bad for your dog… but beware of raw salmon.